Immigration has become a polarizing and politicized topic in our country and our world. Demeaning phrases and overwhelming statistics are thrown around with frightening ease and often it seems we have forgotten that we are talking about people. 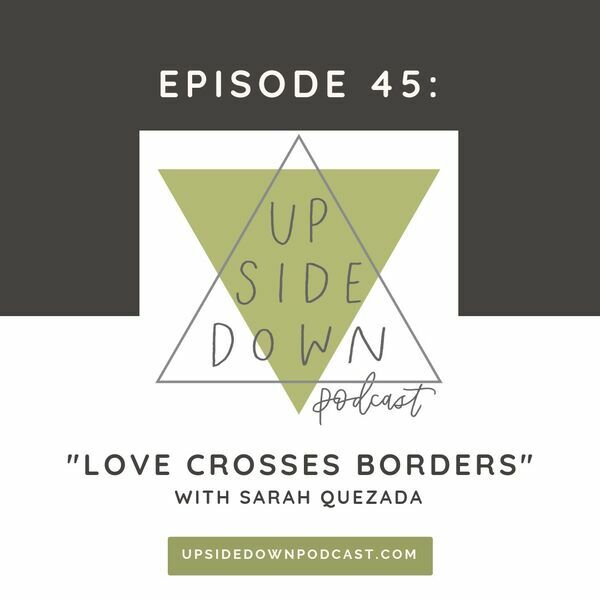 We’ve invited today’s guest, Sarah Quezada, to remind us of the humanness of immigration. Sarah is a writer and nonprofit professional in Atlanta, Georgia, with more than a decade of experience working across cultures and leading conversations about justice, faith, and serving among the poor. Sarah joins Kayla Craig and Lindsy Wallace for a conversation about the upside down response to immigration. Reflect on how we can be more welcoming. Join us as we learn how we can better love our neighbors and work toward justice, peace, and reconciliation. - Listen to our conversation with Salem Afangideh, immigration attorney and Nigerian immigrant (episode #19).